Since most of the country is in a deep freeze, how about picking up the latest issue of Crimespree Magazine to keep you warm? 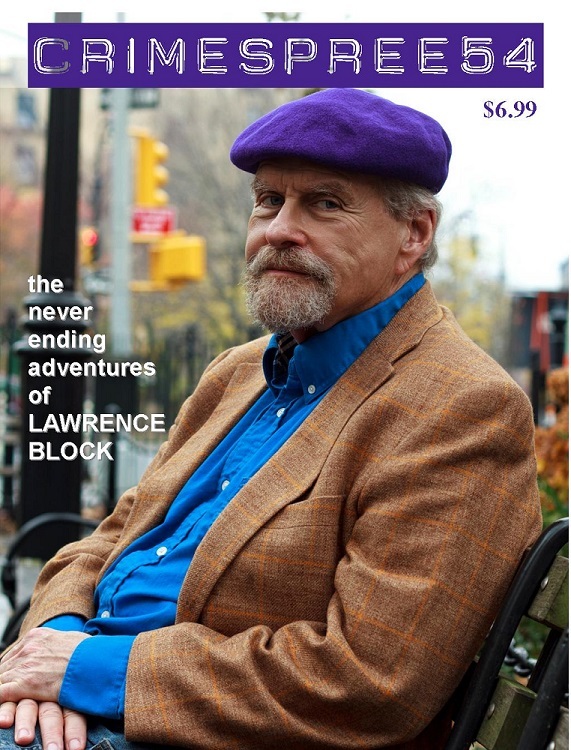 What if I told you Lawrence Block was the feature article? Yep, it’s true: Ruth Jordan delivers a great interview with Lawrence Block. Dan O’Shea sits down with Dan (and Kate) Malmon and gives the dirt. Erica Ruth Nuebauer interviews Laurie R. King. Hilary Davidson responds to a Quick 5 from Jon Jordan while James Rollins is questioned by Elise Cooper. This month you get a big ol heaping of fiction from Frank De Blase, Patti Abbott and Tim Sweeney. You also get the first chapter of Alex Segura’s SILENT CITY. And the usual suspects are included for your enjoyment: Ayo Onatade, Reed Farrel Coleman, Linda Brown, Craig McDonald and Jeremy Lynch. Also, Buzzbin, Book Reviews, Crimespree on Comics and Cooking with Crimespree appear as well.